The atypical antipsychotic drug cariprazine (sold under the name Vraylar in the US) is currently approved by the US Food and Drug Administration for the treatment of schizophrenia and manic or mixed episodes of bipolar disorder. Based on recent successful phase 3 trials in bipolar depression, the pharmaceutical companies that produce cariprazine, Allergan and Gedeon Richter, plan to apply for a change in FDA labeling later this year to reflect the drug’s apparent ability to treat bipolar depression as well. Side effects reported in the trial were mild and included restless legs, nausea, and fatigue. 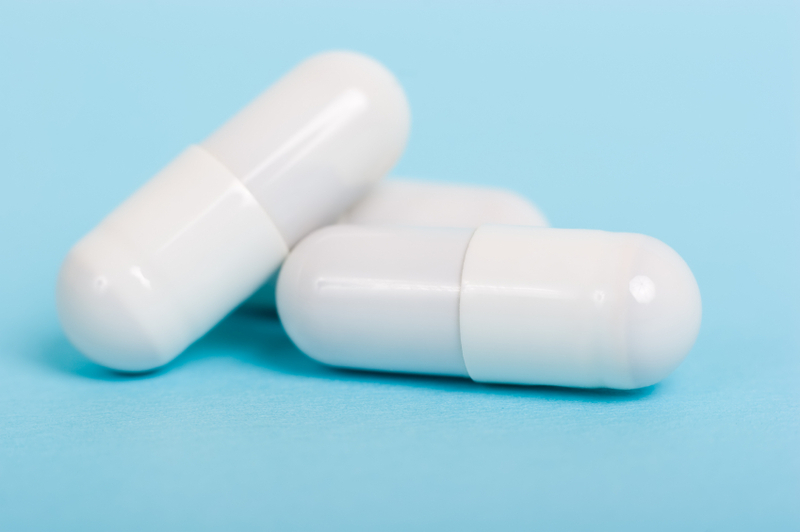 Five percent of those who received cariprazine discontinued the drug due to side effects, compared to three percent of those who received placebo. 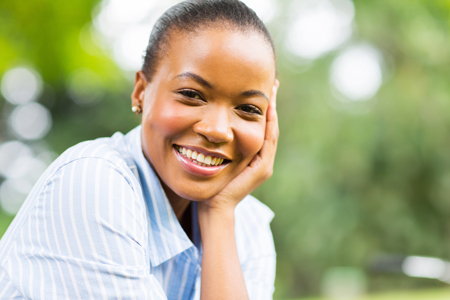 The mechanism by which cariprazine improves depression is not yet clear. The drug is a dopamine partial agonist, but unlike aripiprazole (Abilify) and brexpiprazole (Rexulti), which have more potent effects on D2 receptors than on D3 receptors, cariprazine is more potent at dopamine D3 receptors. Whether this difference accounts for the positive effects in bipolar depression that aripiprazole and brexpiprazole do not have remains to be seen. Several atypical antipsychotic drugs are partial agonists of dopamine. They provide weak stimulation of dopamine receptors in the brain and prevent dopamine from overstimulating the receptors by binding to them in its place. In contrast, most antipsychotic and antimanic drugs are dopamine antagonists, which also bind to dopamine receptors but prevent any stimulation from occurring there. A. Aripiprazole (Abilify) was the first partial dopamine agonist approved by the Food and Drug Administration for the treatment of schizophrenia, and mania, and as an add-on treatment to antidepressants for the treatment of unipolar depression, but not bipolar depression. B. Brexpiprazole (Rexulti) received FDA approval for the treatment of schizophrenia and as an add-on treatment to antidepressants for the treatment of unipolar depression in 2015. It is similar to aripiprazole but has weaker activity at the dopamine D2 receptor. Brexpiprazole is associated with small increases in the hormone prolactin, as opposed to the small decreases in prolactin seen with aripiprazole. C. Cariprazine (Vraylar) is FDA-approved for schizophrenia and mania, and it also has positive placebo-controlled data in bipolar depression and as an adjunct to antidepressants in unipolar depression. It differs from the others in that it is more potent at dopamine D3 receptors than at D2 receptors. It is thought that effects on D3 receptors may provide better antidepressant effects, but this proposition has not yet been tested. In late 2015, the Food and Drug Administration approved the new atypical antipsychotic drug cariprazine for the treatment of schizophrenia and mania in adults. The approval followed a series of clinical trials that showed that the drug reduced symptoms of each illness compared to placebo. The most common side effects of cariprazine reported in the trials included tremor, slurred speech, and involuntary muscle movements. In an eight-week study of the drug cariprazine for bipolar depression by Joe Calabrese and colleagues, patients who received 1.5mg/day doses of the drug showed more improvement in their illness and higher remission rates after six weeks than patients who received placebo. Side effects were rare, with mild or moderate akithisia (restless legs) being most common. Cariprazine is a dopamine D3 and D2 receptor partial agonist with preferential binding to D3 receptors. 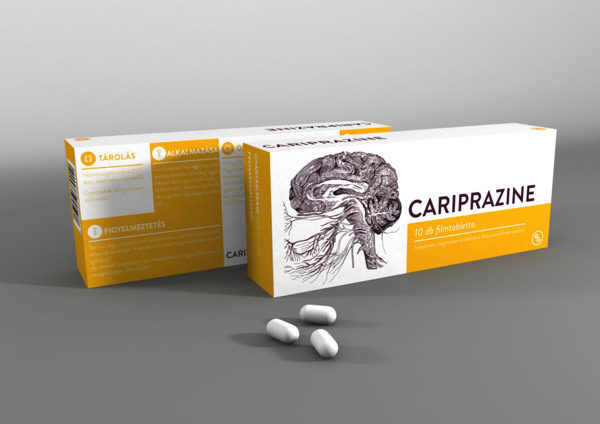 Cariprazine is a new atypical antipsychotic that has positive results in the treatment of schizophrenia, bipolar mania and depression, and as an add-on treatment to antidepressants in unipolar depression. In a recent study by Frank Tarazi and colleagues, cariprazine shared some actions with aripiprazole (trade name Abilify), which is approved by the Federal Drug Administration as an adjunctive treatment for unipolar depression in addition to treating mania in bipolar disorder and schizophrenia. Both cariprazine and aripiprazole partially block dopamine receptors. They allow a little stimulation of the receptors (activating or agonist effects) while preventing dopamine from binding there. With ongoing treatment, this blocking action prompts an increase in the number of dopamine receptors to compensate for the blocking. In rats, both drugs led to increases in several types of dopamine receptors, but cariprazine did so at lower doses. Following 28 days of treatment with aripiprazole at doses of 5–15 mg/kg, rats had higher levels of D2 and D4 receptors in several brain regions than other rats that received no drug. Higher doses of aripiprazole also increased D3 receptors in some regions, indicating that the drug works less well at those receptors. Lower doses of cariprazine (0.06–0.6 mg/kg) increased D2 and D4 receptors significantly, and increased D3 receptors more than aripiprazole did, and in a greater number of forebrain regions. Among antipsychotic drugs, both aripiprazole and cariprazine are unique in providing a little stimulation (partial agonist effects) at dopamine receptors, while all others drugs in the class are pure blockers (antagonists) of dopamine receptors. The researchers concluded that cariprazine was more potent than aripiprazole at dopamine receptors, especially D3 receptors. At the 2014 meeting of the International College of Neuropsychopharmacology, researcher Lakshmi Latham presented a poster on three studies of the atypical atypical antipsychotic caripazine, a treatment that has not yet been approved by the Federal Drug Administration. We call it an atypical atypical because it is a partial agonist at dopamine D2 and D3 receptors, meaning it stimulates the receptors a little, but in the presence of high levels of dopamine it blocks excess activity by sitting on the receptor and preventing the actions of the excess dopamine. Aripiprazole is also a partial agonist at dopamine and serotonin 5HT1a receptors, but caripazine differs in that it has a particular affinity for the D3 receptor. Previous analyses had revealed that cariprazine has good acute antimanic efficacy. All three studies described by Latham were randomized, double-blind, placebo-controlled three-week studies in patients with bipolar mania. In total the studies included 1065 patients, 442 of whom received placebo and 623 of whom received cariprazine. Cariprazine doses from three studies were pooled, and ranged from 3-12 mg/day. Additional analyses evaluated the 3-6 and 9-12 mg/day groups specifically. Approximately 70% of patients completed the study. The most common side effects included akathisia or restless legs (placebo, 5%; cariprazine, 20%), extrapyramidal disorder characterized by abnormal motor symptoms (5%, 13%), restlessness (2%, 6%) and vomiting (4%, 9%). 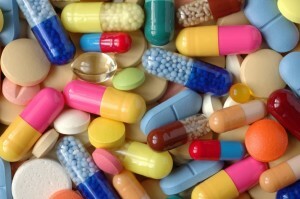 The incidence of serious side effects was similar across the placebo and the treatment groups. Side effects that led to discontinuation of participation in the study occurred in 7% of placebo patients and 12% of cariprazine patients. Suicidal ideation was an infrequent side effect (placebo, 4; cariprazine, 2), and there were no suicide attempts. Mean changes in weight were small (averaging 0.17kg in patients taking placebo and 0.54kg in those taking cariprazine), and the proportion of patients with 7% or higher increase in weight were similar across the two groups (both 2%). Mean changes in blood pressure and pulse were slightly greater with cariprazine and were related to dosage. Cariprazine was not associated with mean increases in electrocardiogram (EKG) parameters except for a slight increase in ventricular heart rate versus placebo (5.0 and 0.9 bpm, respectively). Mean changes in lipids and glucose were generally small and similar between groups. Levels of the hormone prolactin decreased in both groups. Latham concluded that cariprazine treatment for three weeks was safe and well-tolerated. Cariprazine is a new antipsychotic drug from Hungarian company Gedeon Richter. It functions as a dopamine D3 and D2 partial agonist. 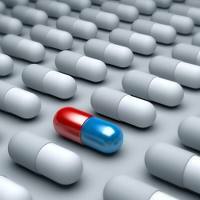 The drug has shown significant antimanic effects in three placebo-controlled studies. 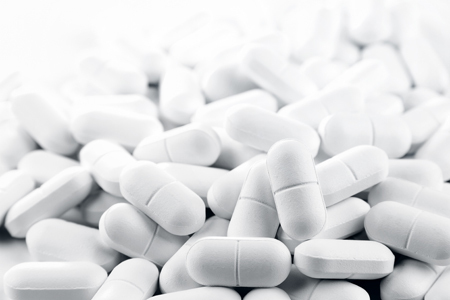 At the 2014 meeting of the American Psychiatric Association, researcher Robert E. Litman presented findings that 32% of patients with moderate to severe mania improved to a point of minimal or no illness while taking cariprazine, versus 22% who improved similarly while taking placebo. Doses in the studies Litman presented ranged from 3mg/day to 12mg/day. At the same meeting, researcher Lakshmi N. Yatham discussed cariprazine tolerability. At a mean dose of 7.44mg/day, side effects of cariprazine compared to placebo included akathisia (restless legs) in 20% of patients compared to 5%, extrapyramidal side effects (irregularities in movement) in 13% of patients compared to 5%, vomiting in 9% of patients compared to 4%, and restlessness in 6% of patients compared to 2%. Twelve percent of patients discontinued treatment due to side effects while taking cariprazine, compared to 7% taking placebo. Weight increased by an average of 0.54kg among patients taking cariprazine compared to an average of 0.17kg among those taking placebo. Yatham and colleagues concluded that cariprazine treatment is generally safe and well-tolerated. It is expected that data on the positive effects of cariprazine in bipolar depression in two placebo-controlled studies will soon be published. Also at the meeting, researcher Nika Adham et al. reported that in animal studies, cariprazine had greater affinity for the dopamine D3 receptor than aripiprazole (Abilify), another partial agonist at D2 and D3 receptors. D3 receptors are important for the regulation of cognition and mood. It is expected that cariprazine might eventually be useful in the treatment of schizophrenia. Medscape Medical News reported that a new antipsychotic, cariprazine, may be effective in treating acute mania in bipolar I disorder. The drug is produced by Forest Laboratories Inc. and Gedeon Richter Plc. The data showed that patients with acute manic episodes who were treated with cariprazine experienced significant improvements in symptoms compared with patients given placebo, as measured by the Young Mania Rating Scale (YMRS). These improvements, report the companies, were observed as early as day 5 of treatment and at each subsequent time point in the study. The multicenter, double-blind placebo-controlled parallel group study showed statistically significant improvement in patients receiving cariprazine in each of 2 dosages — 3 to 6 mg/day (-6.1 points, P < 0.001) and 6 to 12 mg/day (-5.9 points, P < 0.001) — as compared with patients receiving placebo. See here for a history of the research on cariprazine.